For many on-the-go professionals eating a healthy breakfast may just not fit into their schedule. Though it’s easier to grab a granola bar on your way out the door, the benefits of eating a balanced breakfast every morning cannot be overstated. Read more to learn about the mental and physical benefits of eating breakfast every day. Enjoying a healthy breakfast can give you a mental edge that will last throughout the day. 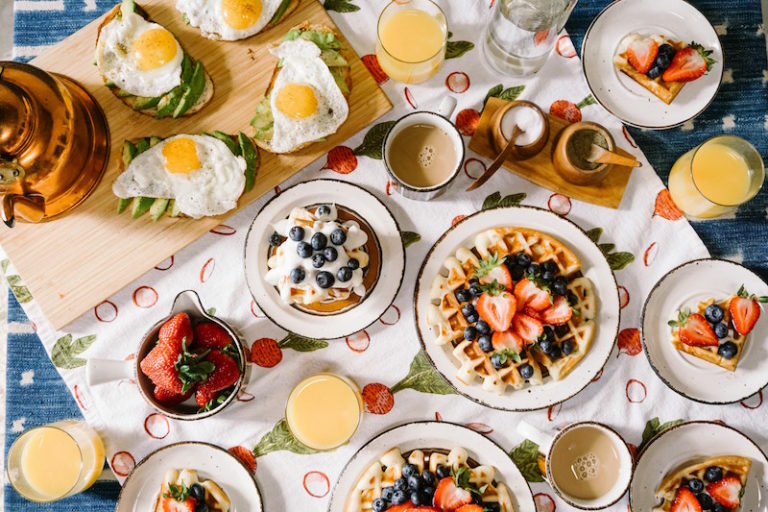 Research that studied the effects on both teens and adults found that eating breakfast may enhance memory, attention, reasoning skills, learning, creativity, the speed at which information is processed, and verbal skills. A review of 15 studies on this subject completed by scientists at the University of Milan found some evidence linking these benefits to the steady glucose levels that breakfast offers. Say goodbye to the mid-afternoon slump. A 1999 research study in the International Journal of Food Sciences and Nutrition discovered that eating a breakfast that is high in fiber and carbohydrates can help you to feel more energized throughout the day. Another essential reason not to skip breakfast is to protect your heart. One recent study tested this hypothesis with a group of almost 27,000 men. Researchers found that those who didn’t eat breakfast were 27 percent more likely to develop heart disease than those who did eat a morning meal. Their findings suggested that those who skip breakfast tend to gain more weight, which can lead to high cholesterol, high blood pressure, and diabetes, all of which can increase the chance of heart disease. Eating breakfast every day can also improve your health on the whole. A 2003 study published in the American Journal of Epidemiology indicated that those who don’t eat breakfast are 4.5 times more likely to be obese than those who do. Another experiment presented at the 2003 American Heart Association’s annual conference supported these results. Researchers went on to say that breakfast eaters were also more likely to have healthy blood sugar levels, less likely to be hungry throughout the day, and had a lower risk of developing cardiovascular disease and Type 2 diabetes. AMA Executive Conference Centers are here to help you host your best conferences and meetings. Connect with us for ideas on incorporating breakfast options into your next meeting in Atlanta, New York, San Francisco and Washington DC.